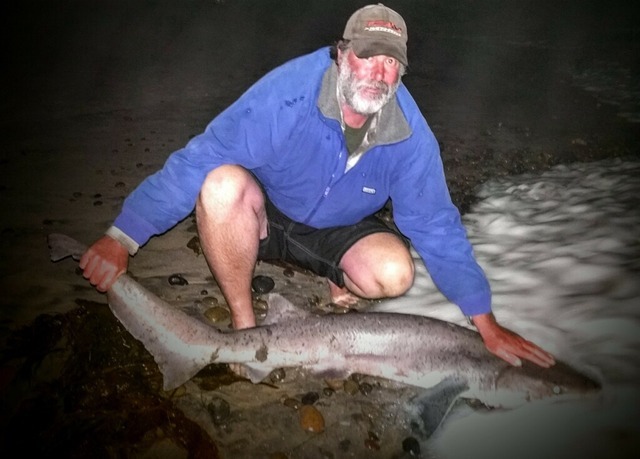 Well, there is a hot bite of thresher sharks just off our coast, but the big news is the surf sharks are fairly abundant up and down our Southern California Coastline at the moment. This past week has found two members with their first big surf sharks while there were plenty more lost. Chad wound up catching his first Sevengill at a whopping 98 inches while Binh caught his first Soupfin Shark (Tope) at a very respectable 72″. Be sure to follow the links and read all of the stories our members are sharing. 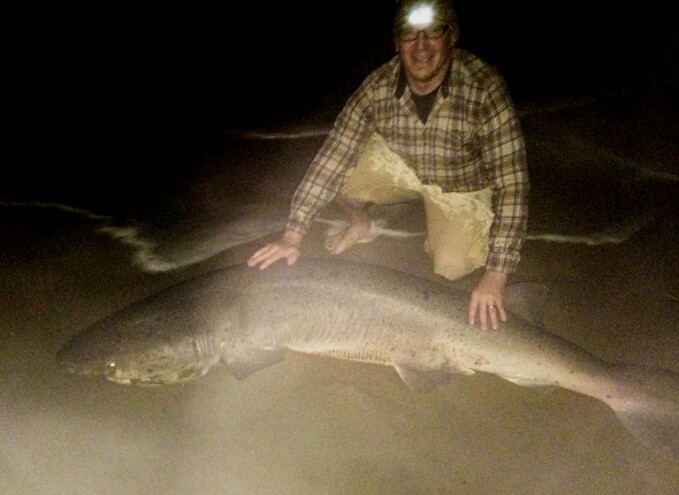 While you are there, be sure to let some of your friends know about us that enjoy surf fishing. It may not be a wide open style of fishing, but the reward is usually a triple digit fish right from the comforts of your local beach!